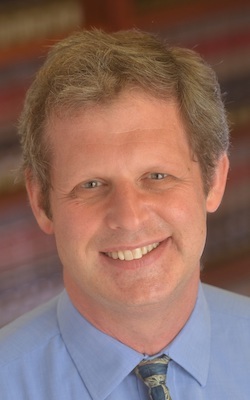 Eugene Volokh, a member of the First Amendment Library’s Board of Advisors, teaches free speech law, tort law, religious freedom law, church-state relations law, and a First Amendment amicus brief clinic at UCLA School of Law, where he has also often taught copyright law, criminal law, and a seminar on firearms regulation policy. Before coming to UCLA, he clerked for Justice Sandra Day O’Connor on the U.S. Supreme Court and for Judge Alex Kozinski on the U.S. Court of Appeals for the Ninth Circuit. Volokh is also an Academic Affiliate for the Mayer Brown LLP law firm; he generally consults on other lawyers’ cases, but he has argued before the Seventh Circuit, the Ninth Circuit, the Indiana Supreme Court, and the Nebraska Supreme Court, and has also filed briefs in the U.S. Supreme Court, in the Fifth, Sixth, Eighth, Eleventh, and D.C. Circuits, and state appellate courts in California, Michigan, New Mexico, and Texas. The “Speech Integral to Criminal Conduct” Exception, 101 Cornell L. Rev. 981 (2016). The Freedom of Speech and Bad Purposes, 100 UCLA L. Rev. 1366 (2016). Gruesome Speech, 100 Cornell L. Rev. 901 (2015). One-to-One Speech vs. One-to-Many Speech, Criminal Harassment Laws, and “Cyberstalking,” 107 Nw. U. L. Rev. 731 (2013). Freedom for the Press as an Industry, or for the Press as a Technology?—From the Framing to Today, 160 U. Pa. L. Rev. 459 (2012). The Trouble with “Public Discourse” as a Limitation on Free Speech Rights, 97 Va. L. Rev. 567 (2011). In Defense of the Marketplace of Ideas / Search for Truth as a Theory of Free Speech Protection, 97 Va. L. Rev. 595 (2011). Symbolic Expression and the Original Meaning of the First Amendment, 97 Georgetown L.J. 1057 (2009). Parent-Child Speech and Child Custody Speech Restrictions, 81 NYU L. Rev. 631 (2006). Crime-Facilitating Speech, 57 Stanford L. Rev. 1095 (2005). Speech as Conduct: Generally Applicable Laws, Illegal Courses of Conduct, “Situation-Altering Utterances,” and the Uncharted Zones, 90 Cornell L. Rev. 1277 (2005). The Mechanisms of the Slippery Slope, 116 Harvard L. Rev. 1026 (2003). Freedom of Speech and the Right of Publicity, 40 University of Houston L. Rev. 903 (2003). How the Justices Voted in Free Speech Cases, 1994-2000, 48 UCLA L. Rev. 1191 (2001). Freedom of Speech and Information Privacy: The Troubling Implications of a Right to Stop People from Speaking About You, 52 Stanford L. Rev. 1049 (2000). Freedom of Speech and Independent Judgment Review in Copyright Cases, 107 Yale L.J. 2431 (1998) (with Brett McDonnell). Freedom of Speech and Injunctions in Intellectual Property Cases, 48 Duke L.J. 147 (1998) (with Mark Lemley). Freedom of Speech, Permissible Tailoring and Transcending Strict Scrutiny, 144 U. Pennsylvania L. Rev. 2417 (1996). Freedom of Speech and the Constitutional Tension Method, 3 U. Chicago Roundtable 223 (1996). Freedom of Speech and Workplace Harassment, 39 UCLA L. Rev. 1791 (1992).